Break out the streamers and confetti! It’s party time at BBS. Today is the birthday of the second picture book by our own Tameka Fryer Brown. Her wonderful new title, My Cold Plum Lemon Pie Bluesy Mood (Viking, 2013), illustrated by Shane W. Evans, is officially here. Yay! To kick off the release, Tameka is on a blog tour. Her schedule is here. Today, you can find her over at awesome Cynsations. Lucky us, Monday’s stop is right here. 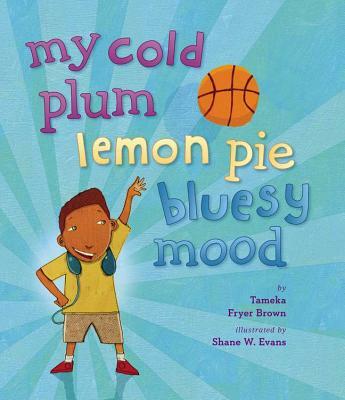 Come back to find out how My Cold Plum Lemon Pie Bluesy Mood came to be and why Tameka loves coloring. We’re so proud of Tameka and Shane and excited about their new release. Please join our celebration of their new book and spread the word. Congratulations Tameka! Wishing you all the best!